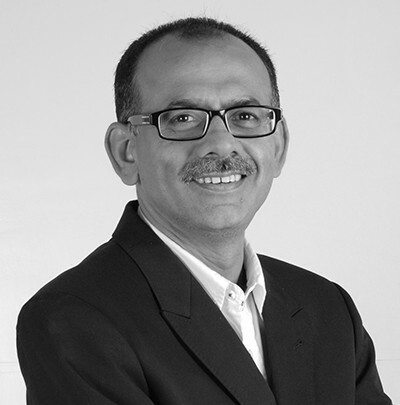 This blog is authored by Mr. Praveen Rawal, Managing Director, Steelcase India and Southeast Asia. When one thinks of a place where creativity thrives, people usually first envision an art gallery or a film set. About a decade ago, the office and creativity had no common ground. Today, the trend toward more creative work is why organizations are making efforts to build a workplace that accelerates this fundamental shift. Seventy-two percent of people at work today believe their future success depends on their ability to be creative. Amidst the race in digitalization and new workplace demands, employees need the ‘power of place’ to let ideas incubate. The world of work is fast evolving and we’re seeing a huge impact of spaces on employee behavior. Corporate India is rejecting dull, monotonous spaces that draw a sharp line between work and life. The new office needs to supercharge its people. Here are ways we can revitalize this creative shift. The overriding nature of Indian workspaces is its diverse nature, diversity in behaviors, personalities, backgrounds that reflect different preferences and demands. A range of spaces, gives people enough choice and control which we’ve seen has a great impact on culture and performance. However, one area of concern for Indian workers is the ability to move around their workplace easily throughout the day. People need to work alone, in pairs and in different size groups throughout a creative process, and they need a range of destinations that compliment focused individual work as well as collaborative efforts. A high-tech destination, a duo meeting space, a private room that allows relaxed postures, are unique spaces that are reinventing the wheel for corporate India. The goal is to give people the freedom to work like they are working from home so they can creatively solve complex problems. The ‘future of work is creative’ and thoughtfully created spaces are the ultimate facilitators of innovation. What is startup culture, as some might rightfully ask. The growing nature of a company, shouldn’t result in losing the entrepreneurial spirit. Companies that start off small, with all the passion and rigor and retain this through years is what we define as ‘startup culture’. The ability to Empower, Experiment and Encourage fuels a special kind of culture that has become the envy of established brands. 90% identify culture as foundation to the success of their companies. The major challenge in Indian workspaces is density which is a hurdle experienced by employees. So it’s especially important to ‘humanize the density’ and make the office somewhat of a sanctuary for employees. A casual, non-corporate environment, or what we’re calling “startup culture,” is a highly appreciate quality amongst employees in India. Organizations need to empower their people with trust and autonomy that will help them push boundaries. 71% strongly agree that being held accountable specifically helps them to innovate. Disregard for conventional ways of working and thinking builds newer paths to creativity and innovation. The integration of Design + Technology is the biggest disrupter, and is changing the state of work by redefining what the traditional office means today. The entrance of new generation workforce has come with own set of demands. The synthesis of technology and workplace design is driving businesses to new heights and enabling workers to achieve higher level of productivity and efficiency. It is no secret that work today is both physically and cognitively demanding, and the environments should be designed to help people deal with the stress it causes. Control over key sources of distractions that impact performance such as noise, interruptions, lighting and temperature control, special types of electrical outlets makes the work experience much better. People are seeking intuitive, simple-to-use tools and smart desks that promote flexibility and also support the agile working trend. The ability to be creative correlates with the environment that you are in. While creativity might entail the ‘big idea’ moment, it is a process that also involves having the ethic to focus and implement that idea. The way to support this process is to create conditions where ideas can flourish.